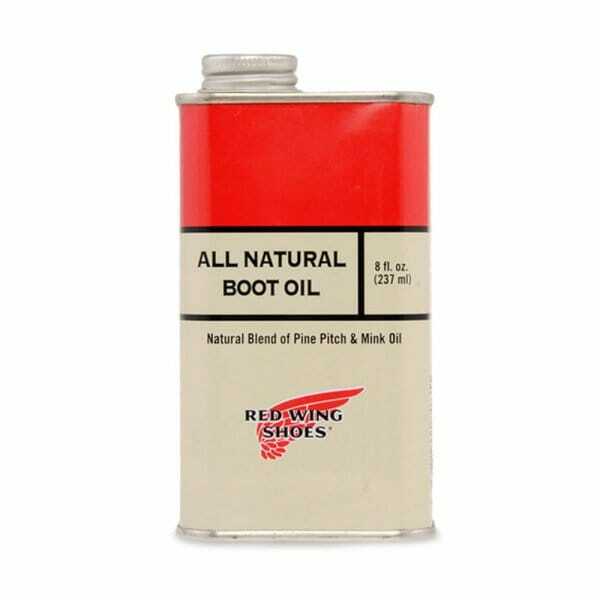 Red Wing Shoes All Natural Boot Oil is made of a special blend of natural Pine Pitch and Mink Oil and contains no silicone or petroleum ingredients. The Pine Pitch gives the oil the aroma of freshly cut pine, while the Mink Oil makes the leather nice and supple. Quickly absorbed by the leather because of its liquid form. The combination of these natural liquids has been used for centuries by Native Americans as a water repellent leather conditioner.